A High Court of the Federal Capital Territory sitting at Bwari, Abuja, has fixed April 3 to commence hearing on a contempt charge pending against the National Chairman of the All Progressives Congress, APC, Adams Oshiomhole. On Wednesday, Justice Othman Musa gave the nod for hearing to begin on the contempt proceeding that was initiated against Oshiomhole by Chairman of the APC in Imo State, Mr. Daniel Nwafor. The plaintiff is praying the court to commit the APC National Chairman to prison for allegedly refusing to obey a judgment that recognized him as the authentic chairman of the party in Imo state. The said judgment followed a suit that was lodged by one Evans Enwerem, who went to court in 2018 to challenge the legality of the Ward, Local Government and State congresses the APC held in the state. The plaintiff had cited Oshiomhole, the APC and Chief Nwafor as defendants in the suit. However, shortly after he was served with all the processes as ordered by the court, the 3rd defendant, Nwafor, filed a counter claim, asking the court to declare that he was validly elected as the state Chairman of the APC in Imo state. The court heard the matter and gave judgement that dismissed the case of the plaintiff and granted reliefs the 3rd defendant sought in his counter-claim. The court further restrained the national leadership of the APC under Oshiomhole from tampering with the tenure of the 3rd defendant as chairman of the Imo state chapter of the party. Meantime, Nwafor, re-approached the court, alleging moves by the APC National Chairman, Oshiomhole, to sack his Exco in Imo state, in violation of the subsisting court judgment. He urged the court to compel Oshiomhole to show cause why he should not be committed to prison for acting in gross violation of a court order. The APC was also cited as a defendant in the contempt proceeding. 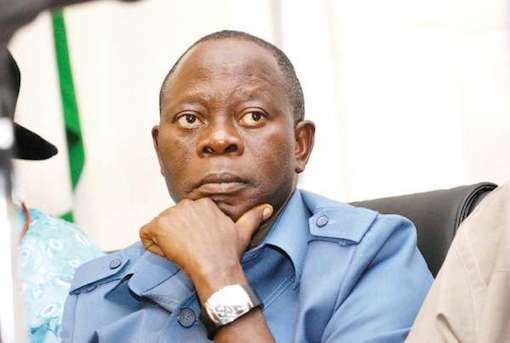 Oshiomhole had through his lawyer, Mr. Damian Dodo, SAN, filed a preliminary objection to challenge the jurisdiction of the court to entertain the suit. He contended that the court lacked the powers to interfere in the domestic affairs of a political party.